Zelement is a way of life. It stands for the Zen Element. Your true element. The culmination of all other elements. Find what feeds your soul and do more of it. Take things a little less seriously. When a situation gets tough we remind ourselves that the Earth is a speck in a solar system that is spinning through space at 70,000 km/hr. Fact or not, this has the desired effect of putting things in perspective. Life is precious, make it awesome. Listen more. Be kind. Be curious. Be yourself. Be Zelemental. Zelement Club was founded by living a dream. After nearly 10 years at a corporate job that was actually really fun at times, Sharon changed course to travel and feed her soul. She had a knack for meeting locals, making friends, and avoiding the tourist traps. Back in Seattle her friends looked forward to her travel stories and started to join her on trips. Then their friends started to join. And Zelement Club was born. ​Read the stories about Sharon and Jon on our Coaching page. Zelement has completely changed my relationship with travel. From the moment I contacted Sharon about traveling to Bali, to the very last minute of my trip, I had the best possible experience. Sharon and Jon are amazing hosts, they're warm, kind, super fun, introspective and caring -- and everyone I met through them was the same. They handled all of the "difficult" parts of travel so that I could simply show up there and have a life-changing experience. I've fallen in love with Bali, I'm no longer terrified of surfing (that's huge progress), my inner work has deepened, and I'll absolutely travel with Zelement Club again. I'm happy to talk to anyone who is considering traveling with Zelement for the first time." Zelement Club is a "place" where the seemingly impossible becomes possible, if you are open to it. We play, we try new things, we learn new skills and enjoy the process. It's a place to reconnect with your inner child and shed the rules and justifications we have made up that prevent us from living the life we truly want. When you join us on your travels you meet others who have changed their lives and some who are just getting the inspiration to get started. Wherever you are in this process you are welcome as long as you have a positive attitude and are open to self-reflection and learning. ​Our adventures often incorporate activities such as skiing, snowboarding, surfing, golf, meditation or yoga. Experiences vary depending on destination and intention for the trip. To find out more, click on the locations listed in the main menu. Zelement Club attracts the travelers who like to explore solo or in small groups. Our friends and guests do not require their own personal concierge and rather enjoy meeting locals and being clued in to secret spots that won't be found on Trip Advisor. We leave our guidebook at home and skip the major tourist attractions in favor of an off the beaten path experience. ​There are many highly structured tour groups that are better suited for people that require that. 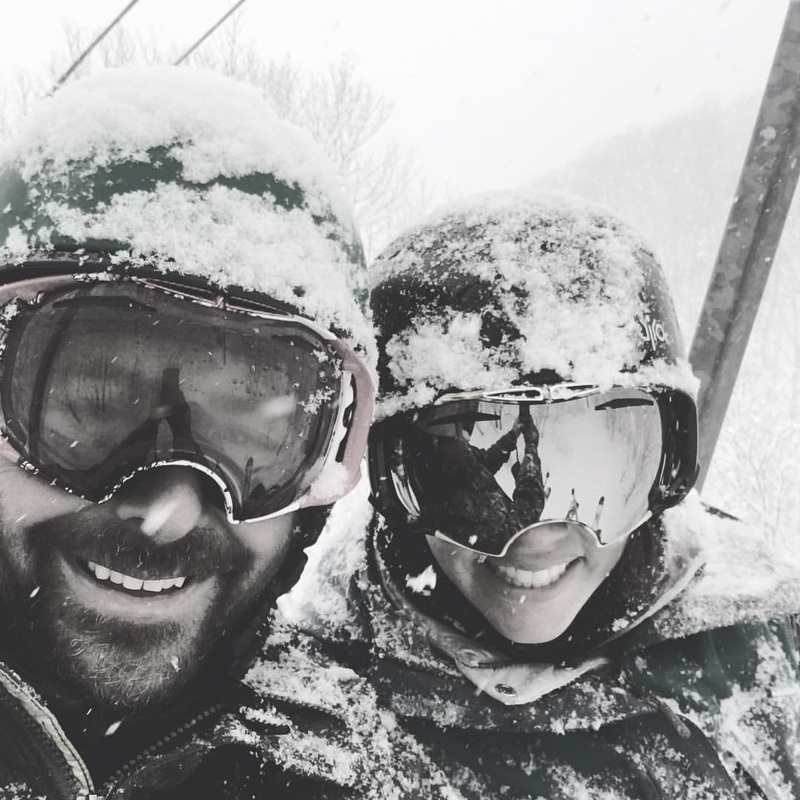 "I went on the JaPOW ski trip with Zelement in February 2016 and skied in powder for the first time! Jon gave me some great tips on how to ski in powder and I surprised myself how well I did. Zelement combines unusual places people don’t usually think to go with fun physically challenging activities. Its nice not to think about the details and just know you are signed up to be somewhere exotic learning how to do something new and will meet friendly, like-minded people along the way. And with Sharon’s planning, you’ll never have to worry about the food – it’ll be good!" "I feel lucky to have met Jon and Sharon on my first night in Bali and a few months into my solo travels, at a point where I was past the initial high of leaving behind the corporate grind for a grand adventure and where I was beginning to think hard about the next chapter in my life. Sharon and Jon are incredibly real and down-to-earth, and before long, we were deep in conversations about life’s passions and how to make them a true part of your lifestyle. Zelement Club represents exactly how I want to both travel and live my life. Whether it be chasing surf or enjoying my first Kirtan, chatting over beers at sunset, or simply hanging out by the pool in their beautiful villa, Sharon and Jon are inspiring others to live out their dream life as they live out theirs, proving that you don’t have to prescribe to the rules and the norms that are set for us by the societies we live in. Above all, they are incredibly genuine, thoughtful, and fun people, ones that I feel like I've known for a long time, with a palpable love for life. I consider myself lucky to be part of the Zelement Club and hope to adventure with them again sometime soon." Everyone who joins one of our trips becomes a member of the club. It's a way for cool, active, nice, adventurous people to meet in beautiful places around the world and inspire each other to live their dreams. The more people who join, the more friends you will likely run in to in the most unlikely places. It happens! These are people who can give you travel advice on the best things to see and do and put you in touch with their contacts when you are going to a faraway land. These are people who understand the busyness of life and will be your friends even if you don't find time to text them every day or call them every month. In fact, if you don't see them for two years they would welcome you as a guest at their home if you WhatsApp'd them and said you were going to be in their city on your next international trip. ​One of the things we love about the places we visit is that culture, traditions, and daily life are different from where we come from. We learn so much seeing life lived and enjoyed in a way different from what we know back in the States. Coming from a western country to a place like Bali has a lot of appeal because our money goes a long way. We partner with local experts to provide services for us and our guests. We hired a local chef so she can have a steady income that is sufficient and fair to support her family. The surf instructors we've been working with for years grew up in the area, know the surf breaks like the back of their hand, and love teaching people to love the experience of the ocean. We learn (and will continue to learn) and follow local customs and communicate in the local language as much as possible. ​Read more in our Financial Ethos blog post. ​Purusa Yoga and Women's Clothing is made right here in Bali with Love. Our friend Eli is a yoga teacher and a dog lover and we love supporting her passion for rescuing animals. ​Purusa is ancient Indian Sanskrit meaning Your True Self. 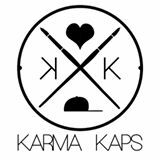 ​​Karma Kaps are hand-painted with love and light by Melissa in Deerfield Beach, FL when she is not busy coaching kids on the beach volleyball court. You can see a couple designs featured on Sharon's head on our website, facebook, and Instagram account - or in real life everywhere she goes in Bali. ​Custom ski boots, liners, and insoles are a must for what we do. We are lucky to have the best boot fitters in the business at Copper Mountain. Read our blog and take advantage of the great deals for Zelement Club Colorado Members. The best breads and coffee beans in Bali are made possible by our friend Jirka at his ​​welcoming cafe in Berawa Canggu. He shares the Zelemental spirit and will welcome all our members with a smile. We also have a selection of his delicious creations at the ClubHouse. Sharon's friend and former co-worker, Kimberley, makes bath products to delight the senses. We use the natural sunscreen, body lotion, bar soap, coffee scrub, sugar scrub, and more. Read her story and the SBS mission on her website www.SugarButterSalt.com.